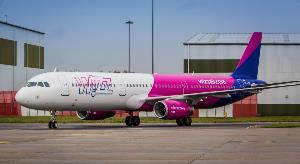 One of Europes fasting growing low-cost airlines, Wizz Air has come to the rescue of those passengers of British Airways who had their cheap tickets cancelled simply because the airline cocked up and sold them too cheaply. Wizz Air UK has offered special fares to the BA customers whose flights to Tel Aviv were cancelled by the airline because of a pricing error. The affected passengers can take advantage of a special return fare with Wizz Air, the largest international airline operating at Tel Aviv, of GBP 80* one way or GBP160* return. The fares are for travel up to Wednesday 18 July 2018 and are subject to availability on each flight. Bookings can be made on https://wizzair.com/#/rescue until Sunday 25 June 2018. Customers will need to provide evidence of the cancelled BA booking.